Eight Treasures Vegetarian Restaurant is one of the popular vegetarian restaurant located just beside the Singapore Buddha Tooth Relic temple in Chinatown. 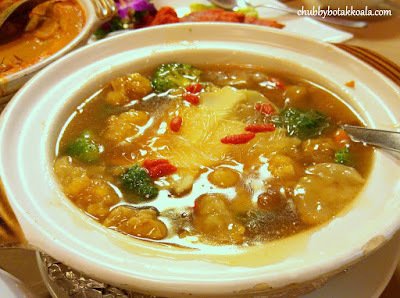 With the belief of promoting vegetarian food in Singapore, Eight Treasure believe that Meatless does not mean Tasteless. Buddha Jumps Over the Wall ($25 for medium). My memory of the “real” Buddha Jumps Over the Wall is definitely different here. The vegetarian version here is closer to shark fin soup. 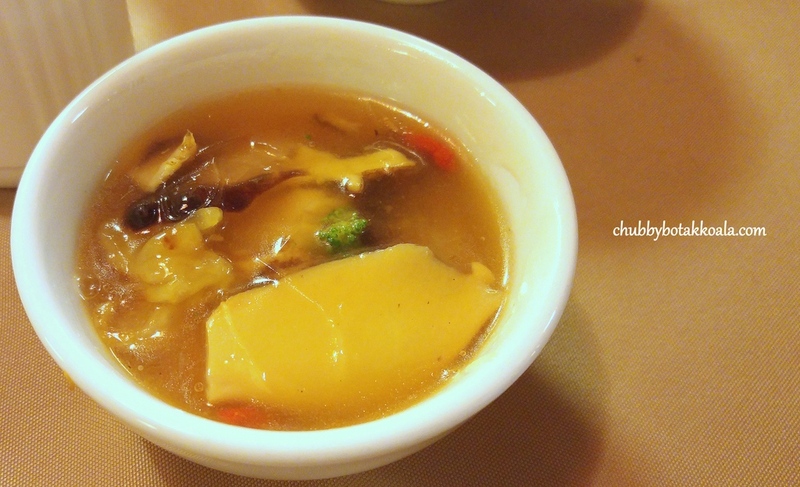 Thick, gooey yet flavourful broth, filled with good stuff such as konnyaku shark's fin, abalone and sea cucumber. A touch heavy on the pepper but it was pretty good. Fragrant Vegetable Yam Ring ($20). A very well-executed yam ring dish. Crispy on the exterior, while the yam is smooth and velvety. The sautéed greens has a nice crunch to it, topped with lovely cashew nuts. Shiitake mushroom with Braised Beancurd Roll ($20 for medium). The size of plump shiitake mushrooms really caught our eyes. It is juicy and absorbs the umami gravy that come with the dish. 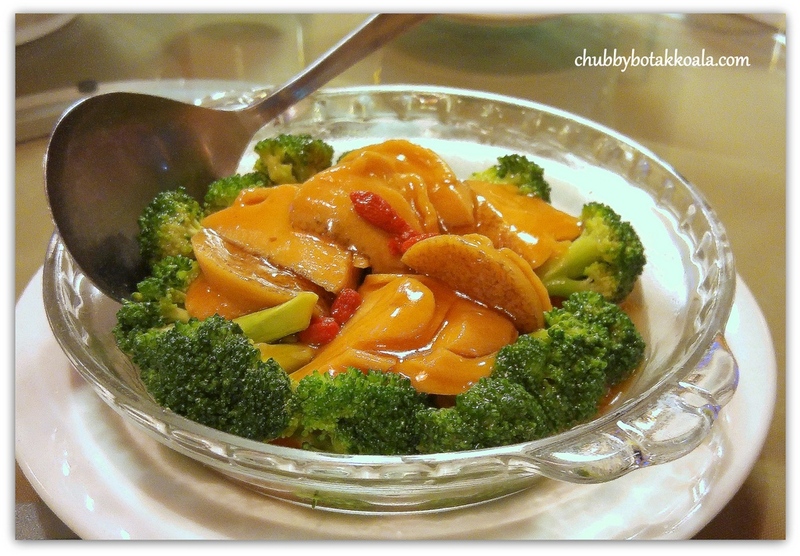 Vegetarian Baby Abalone with Broccoli ($22 for medium). A fresh and crunchy broccoli, topped with thicken gravy. 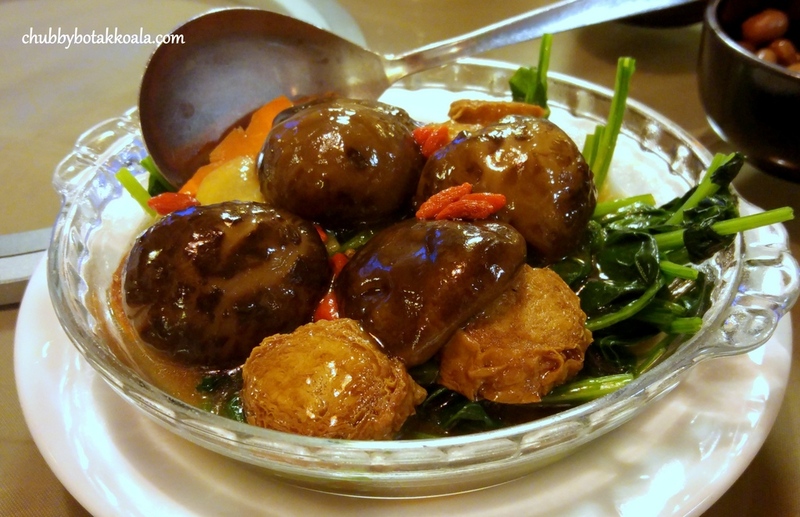 The vegetarian abalone is so good, it can be mistaken for the real one. Veg Curry Mutton ($18 for medium). One thing that I notice that a good vegetarian restaurant in Singapore always has a solid curry dish or assam dish. At Eight Treasure, their mutton curry is not to trifle with. It's fragrant and thick gravy will make you blow smoke from your head. 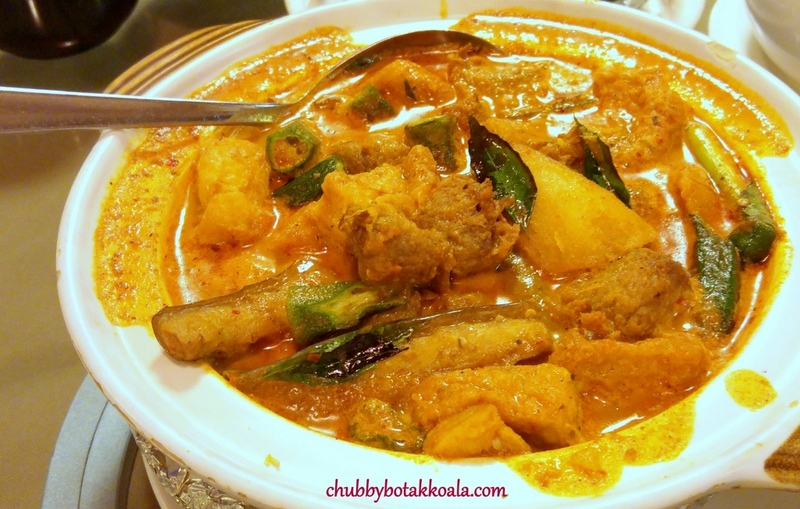 Filled with usual curry companion such as potato, okra, eggplant plus mock mutton, it is definitely a “rice thief” dish. I personally find it very spicy for my standard, but LD find it an acceptable level. Fragrant Golden Beancurd ($15 for medium). 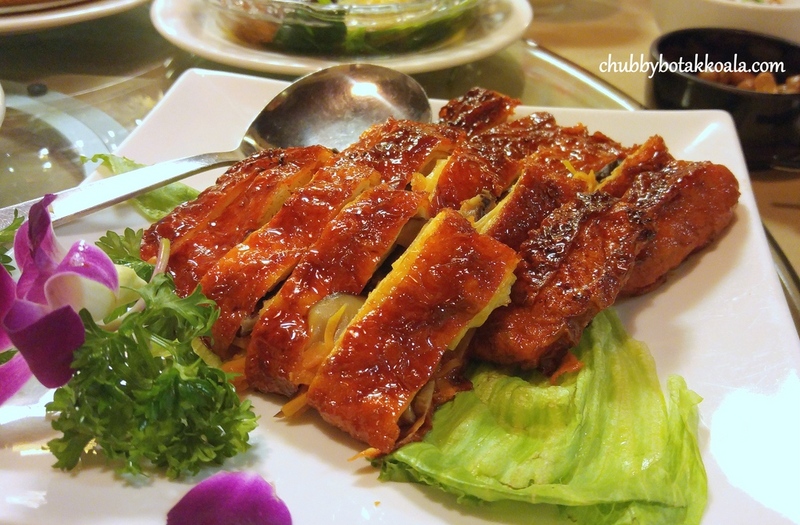 The beancurd has a good texture, crisp with soft texture. As a vegetable version of mince meat, the crunchy soy bits is just too hard and painful to chew. I think they can try to soften the soy bits instead of making it crispy. 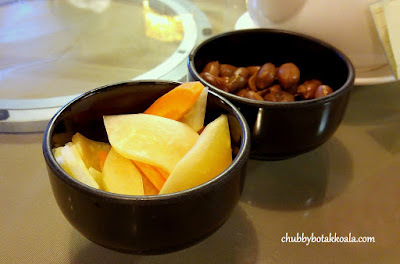 Maybe change in to chai po / preserved turnip. 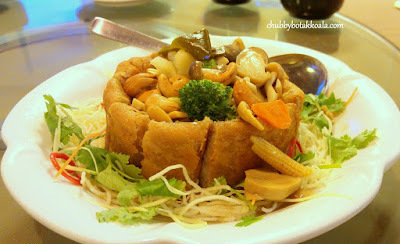 As we are celebrating LD's God Ma birthday, Longevity Noodles ($25 for large) is a must order. A very good smooth and silky vermicelli, cooked with a robust broth. 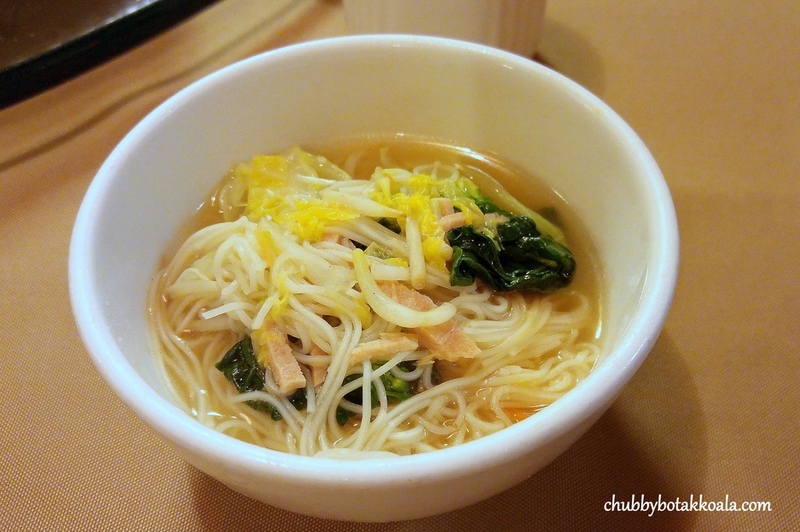 The beansprouts added crunchy texture to the dish, Chinese cabbage for a touch of sweetness and mock ham for saltiness. A good combination of flavour indeed. Out of curiosity, we decided to order Vegetarian Suckling Pig ($23 for medium) and Vegetarian Roast Goose ($23 for medium). Both dishes looked almost the same. However, the veg roast goose has more favour as it was braised in a special sauce. The suckling pig has a nice crispy exterior due to the beancurd skin and fluffy potato filling combo. 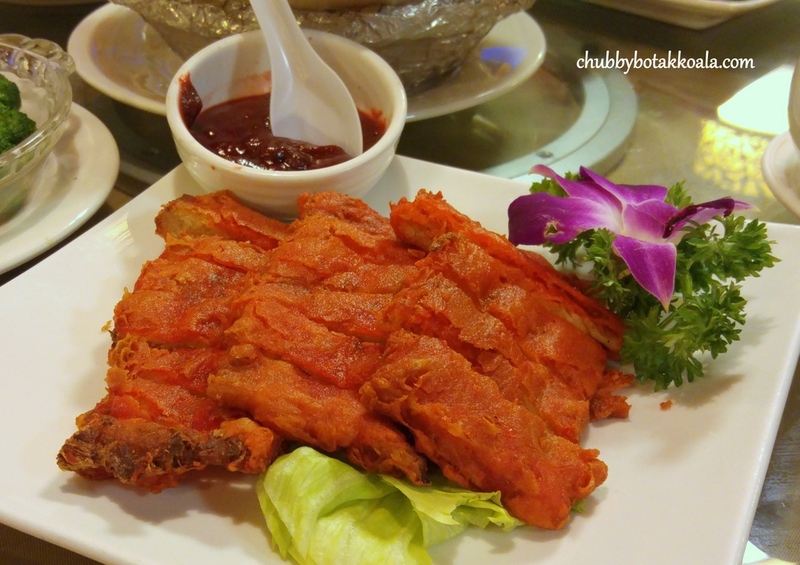 You can actually eat the veg suckling pig without the sweet sauce. The décor of the place is like common traditional Chinese Restaurant. Neon lighting, simple brown colour table cloth and functional chair. The service is definitely in a traditional Chinese restaurant way: efficient, minimum smile, but proficient in English and Chinese. Overall, true to its motto, Meatless does not mean Tasteless. 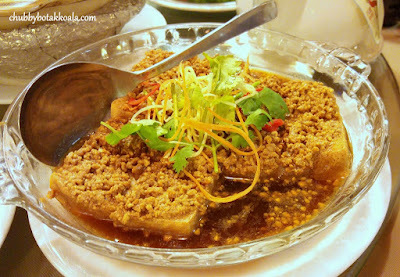 All the dishes is flavourful and lively. You can appreciate the combination of texture and flavour of each dishes, and it is definitely not bland. Definitely a nice place to enjoy meatless dining experience. Cheers! !